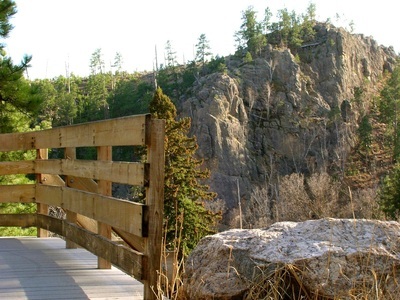 The Creekside Trail is one of the gentlest trails in the Black Hills. 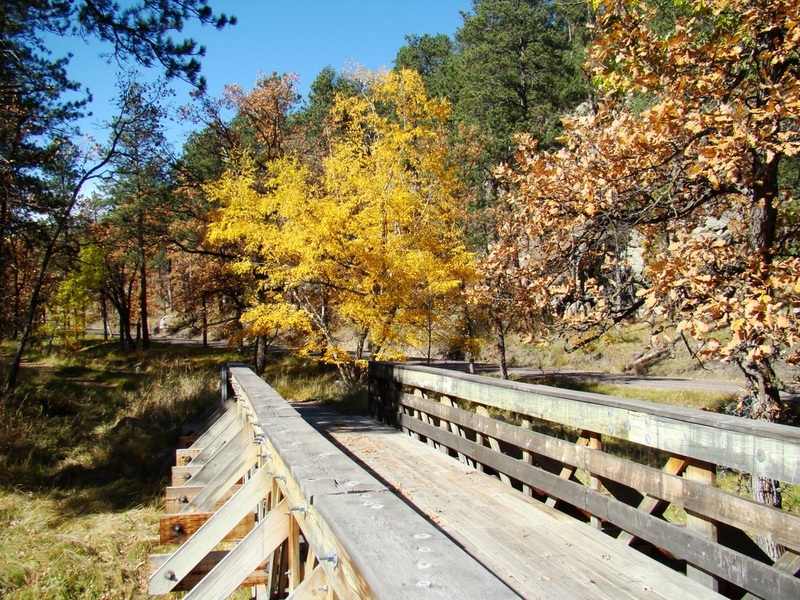 Because it is paved and graded to be handicapped accessible, virtually anyone can enjoy this trail. 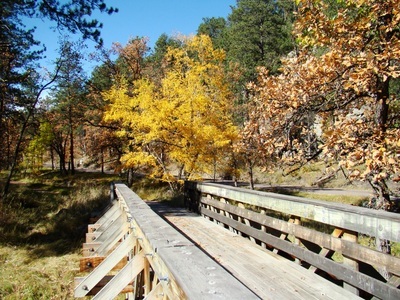 The trail runs from the Coolidge Store at Custer State Park, along Grace Coolidge Creek, to a campground along Highway 16. 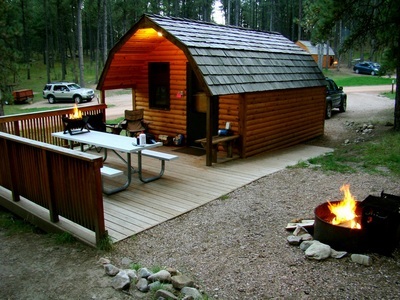 The Coolidge Store is about 13 miles east of Custer. Parking is sometimes hard to find during the peak of tourist season. 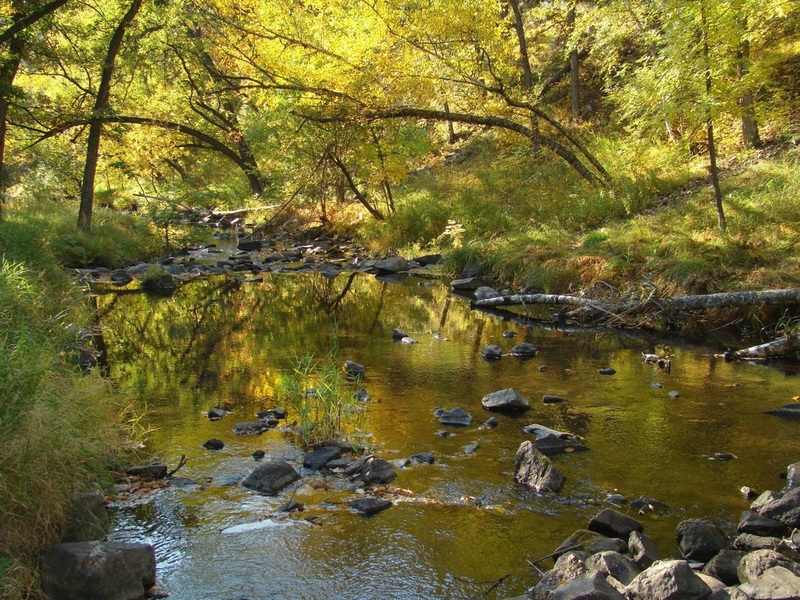 The total length of the trail is about 2 miles, making this an easy "out-and-back" for those who love a mostly shady walk along a mountain stream. There are bighorn sheep in the area, as well as buffalo. The bighorns tend to shy away from people, but the buffalo can be threatening, as we found out on one of our hikes along this trail. On our return, we encountered one big bull that was in the middle of the bridge by the park headquarters, and was determined not to allow anyone to pass by. We did not want to wade through the creek to attempt to safely go around, so we had to walk back along the highway. 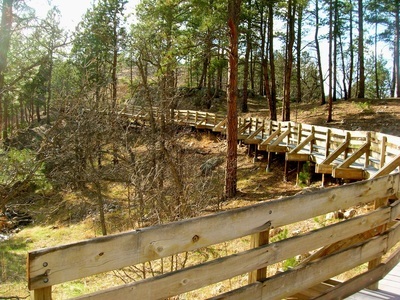 This is the view from the upper end of the Creekside Trail boardwalk. 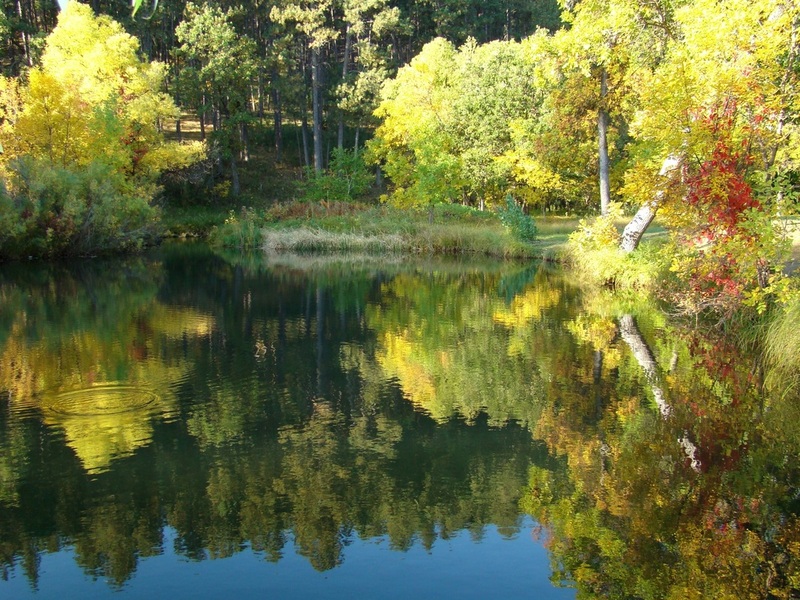 The cliff pictured is often mistaken for Lovers Leap. Custer State Park camping. Lots of these cabins are available near the Creekside Trail.